*500 asset minimum. Billed annually. All amounts are shown in U.S. dollars. International prices vary. 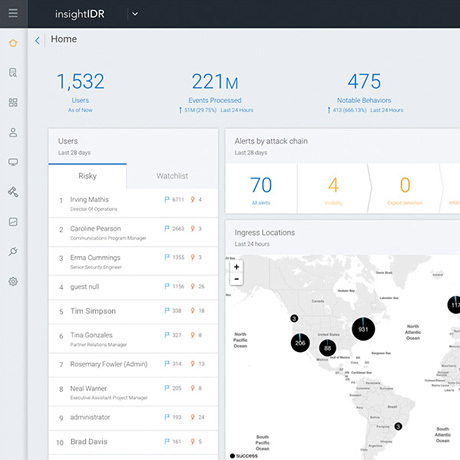 Ready to see InsightIDR in action? Cover your entire network with volume-based discounts. Rapid7's Insight platform is trusted by 7,400+ organizations & 120+ countries. See how SIEM, UBA, and EDR come together so you can confidently detect attacks across your environment. Go from compromise to containment. Fast.